The design of the bridge overpass across the Kerch Strait to link Crimea with Russia has been developed. The bridge provides motorway and rail traffic. The motorway string overpass is mounted on pole supports and railway tracks are placed in tunnels passing under the bottom of the Strait. 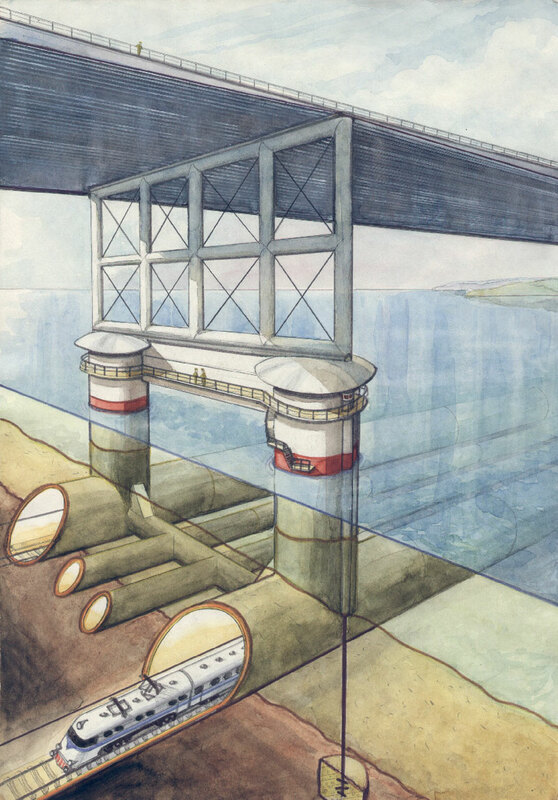 The thickness of the silt reaches dozens of meters in some places, therefore, the tunnels are located below the depth of the silt, rest on the solid soil of the seabed and serve as the foundation of the bridge overpass.